Lake Forest is known for a diverse mix of architectural styles making it one of the most interesting and beautiful cities in all of Chicagoland. Take a ride through the town’s sprawling 17 square miles and you’ll feel like you have taken a step back into history. Estates designed by Frank Lloyd Wright and other renowned architects can be found hidden between the bluffs and ravines that call Lake Forest home. While the city is known for its beautiful mix of eclectic styles from various periods throughout history, most can only recognize a few of the most well-known such as Queen Anne and Contemporary. But a closer look can reveal unusual styles that make Lake Forest a true architectural treasure. French Eclectic is one of the most uncommon architectural styles you will find anywhere in the United States. This style exemplifies many of the details that have been used on French domestic homes for centuries. These homes feature tall, steep roofs and eaves that flare upward. They often have brick, stucco or stone cladding and many even feature decorative half-timbering detail. Many examples of this style were built in the 1920s and 1930s in eclectic neighborhoods throughout the country. A neo-eclectic revival also became popular in the 1960s. The Italian Renaissance style became popular in the early 20th century and continued into the late 1920s until its decline in the 1930s. 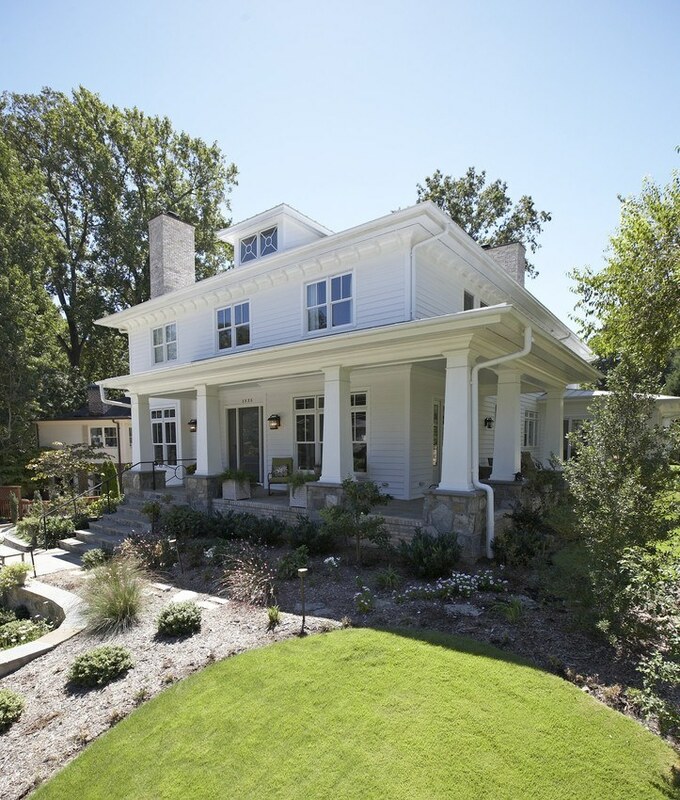 This architectural style is best known for its simple and symmetrical appeal. These properties often feature rectangular forms, flat facades and low-pitched hip roofs. Reminiscent of old Italy, their entrances may have simple, yet classic columns and arches above the doors, first-story windows and porches. As part of the Picturesque movement, the Italianate style first began in England and quickly swept through bustling Midwest towns between 1850 and 1880. Andrew Jackson Downing’s popular pattern books published during the mid-1800’s popularized the style. Italianate homes are known for their characteristic square towers along with narrow, arched windows and elaborate detail work. The buildings also often feature low-pitched roofs with overhanging eaves and decorative brackets. Is your home one of these three unusual styles? If so, you know how important it is to maintain the property’s original character when making renovations or repairs. A professional contractor with experience working on unique homes in the area can be a valuable resource ensuring the work is done right. Custom Installations is the reliable Lake Forest contractor homeowners turn to for their exterior needs. Whether you have a Contemporary estate or an Italianate villa, let Custom Installations be the team you trust with your unique property. Visit our portfolio to view previous historic projects we have completed in the Lake Forest area.